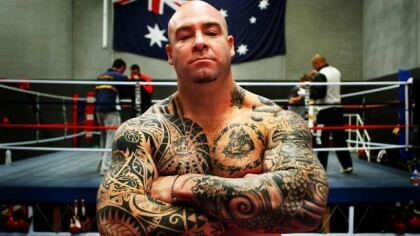 Lucas Browne: Gunning for Towers, Price and Parker! Undefeated Aussie Heavyweight Lucas “Big Daddy” Browne is about to once again invade the United Kingdom when he faces Richard Towers on November 2nd in Hull, England. The bout is a final eliminator for the Commonwealth title, a belt that no Australian has held since the great Peter Jackson in 1892. Browne 17-0 (15 KO) departs Australia on October 20th, giving him plenty of time to acclimatise and to also fine tune at Ricky Hatton’s Hyde gym. Both Browne and Towers are no strangers. They have sparred numerous times together in Sheffield and have previously been scheduled to fight on two occasions. The first bout was cancelled due to a sparring injury suffered by Towers, who is also undefeated at 14-0 (11 KO). The pair were re-scheduled in Australia, only to see Towers denied a visa. Next boxing news: Left-Hook Lounge: Bradley vs Marquez, Lomachenko, & Bradley’s Next Move!!! You are here: Home / Boxing News / Lucas Browne: Gunning for Towers, Price and Parker!